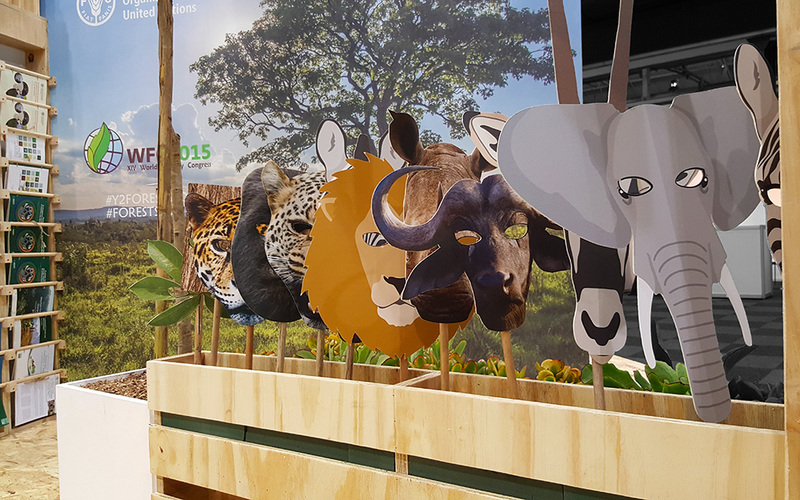 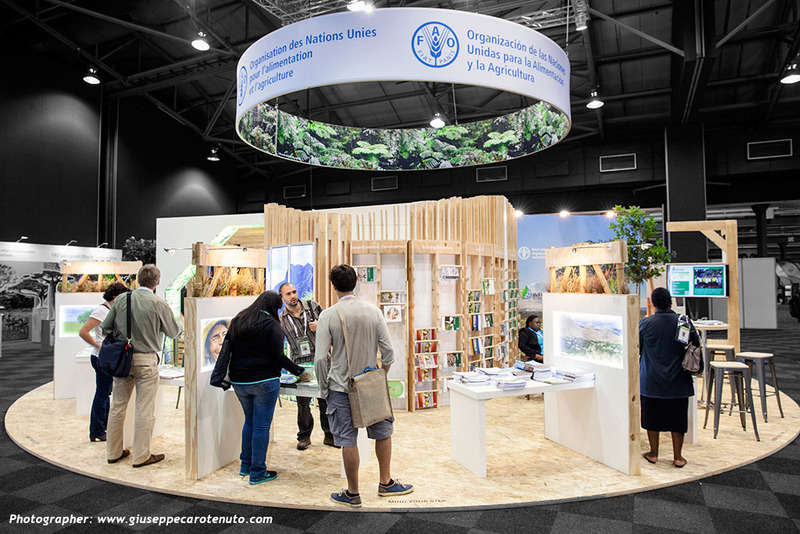 The 14th World Forestry Congress took place at Durban ICC from 7th till 11th September 2015. 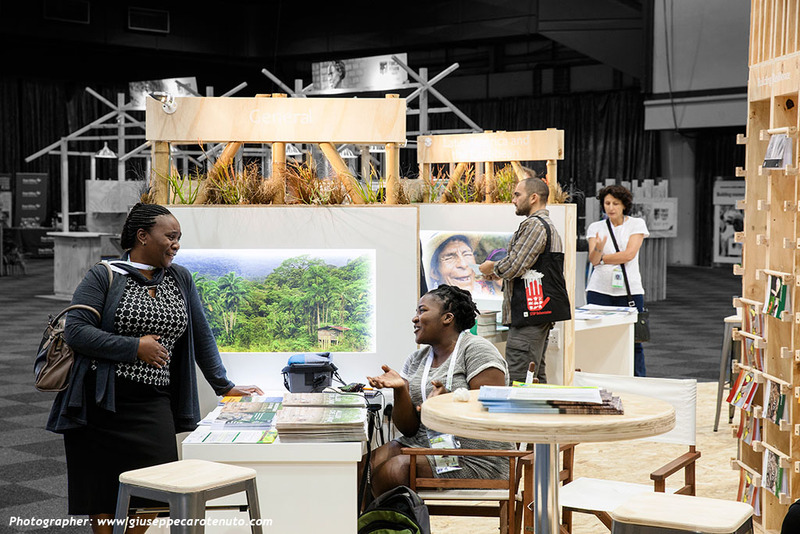 This hugely important gathering of role players from around the globe saw a range of key topic discussions and ultimately led to a resolution being passed that seeks to protect our natural environments. 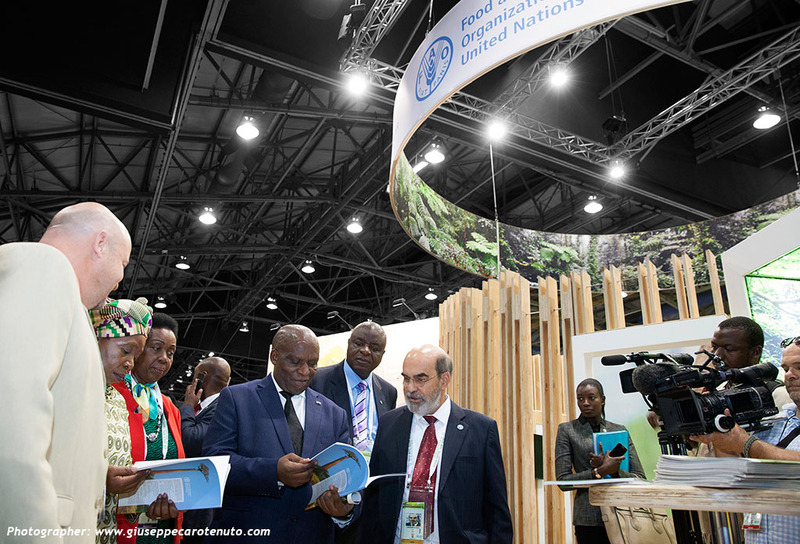 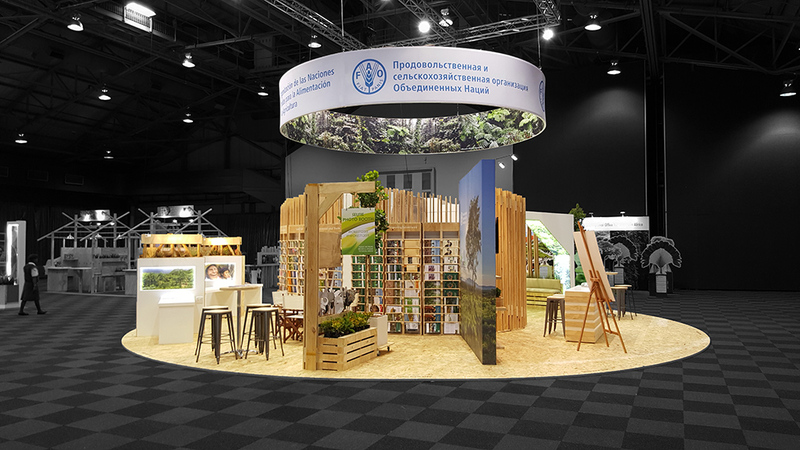 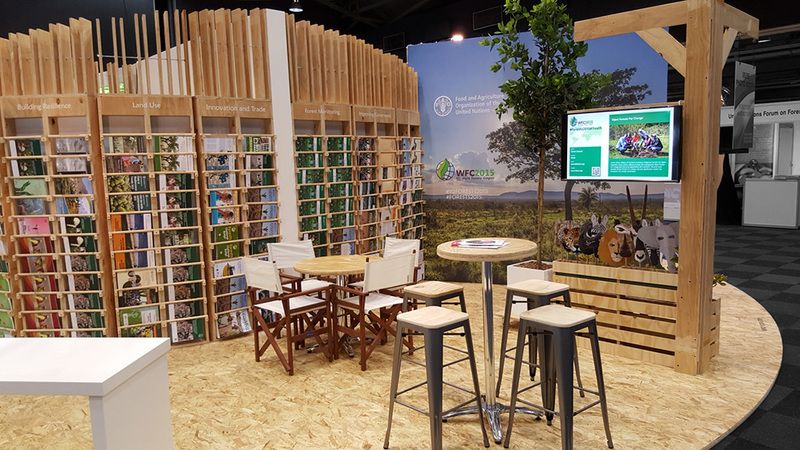 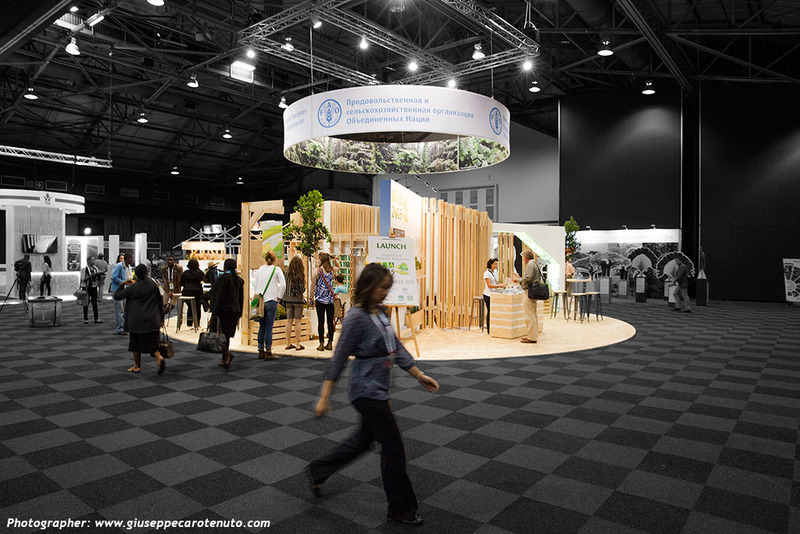 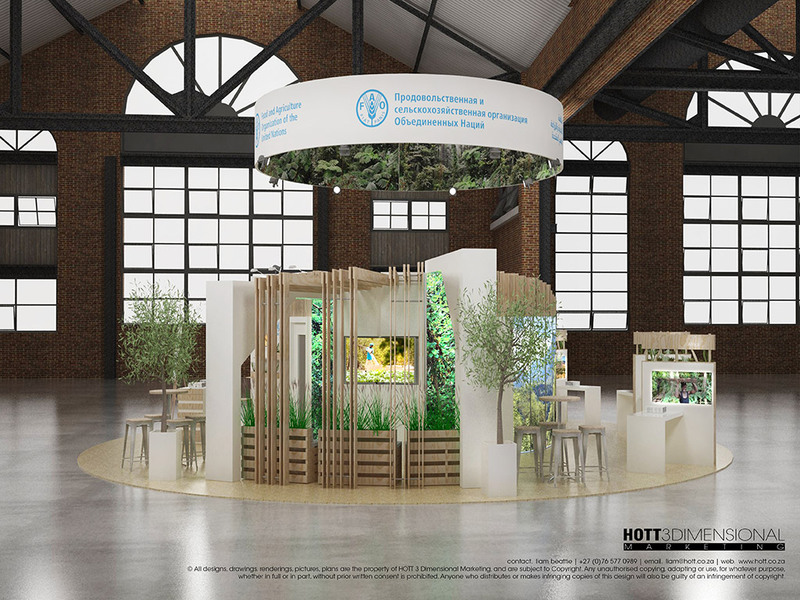 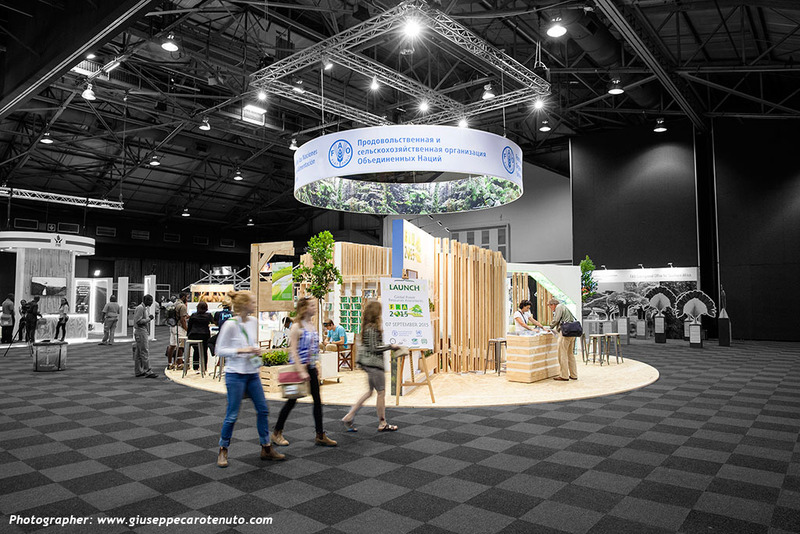 Of the 4 exhibits we produced at this event, The Food and Agricultural Organisation of the United Nations (FAO) Pavilion was the flagship of the exhibition and was used extensively to showcase a variety of initiatives and host numerous high level meetings and delegations. 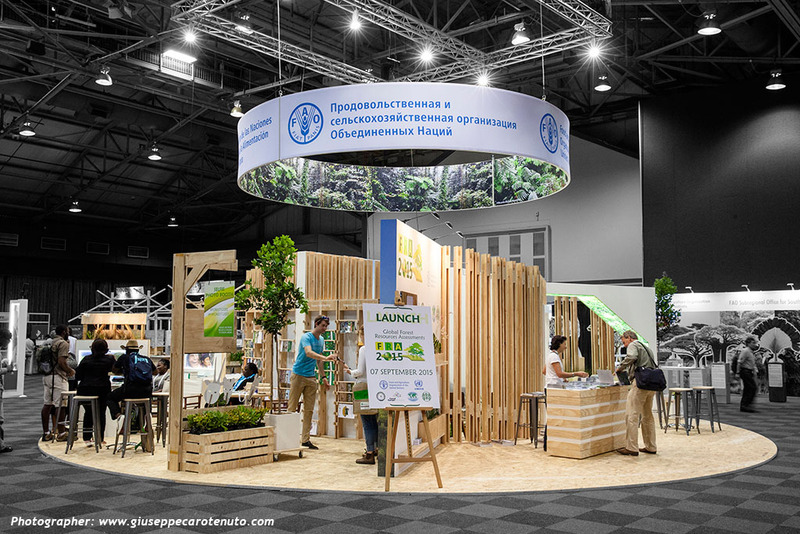 This exhibit was constructed using entirely reclaimed or recyclable materials. 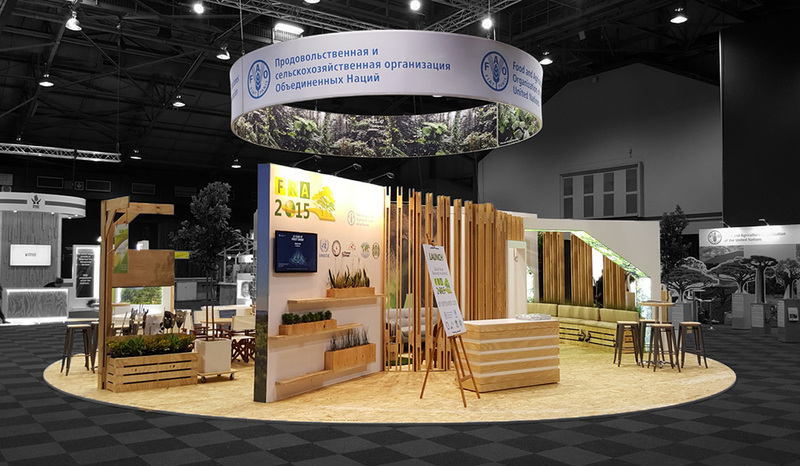 Post show much of the timber was recycled onsite. 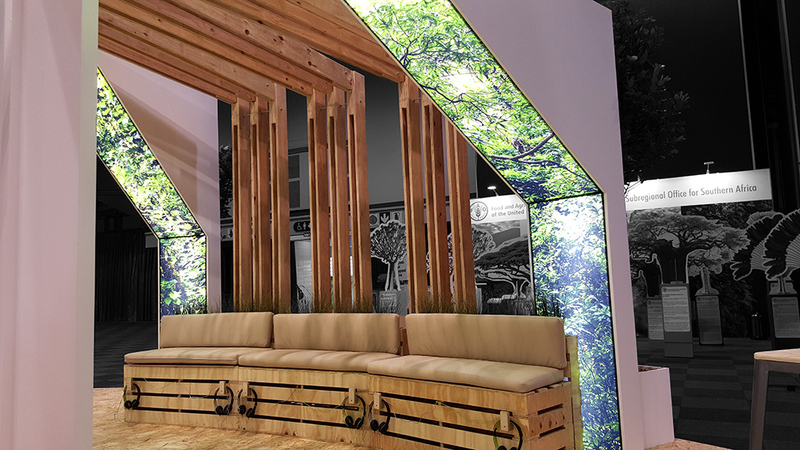 These will be repurposed and used for construction projects in poorer communities. 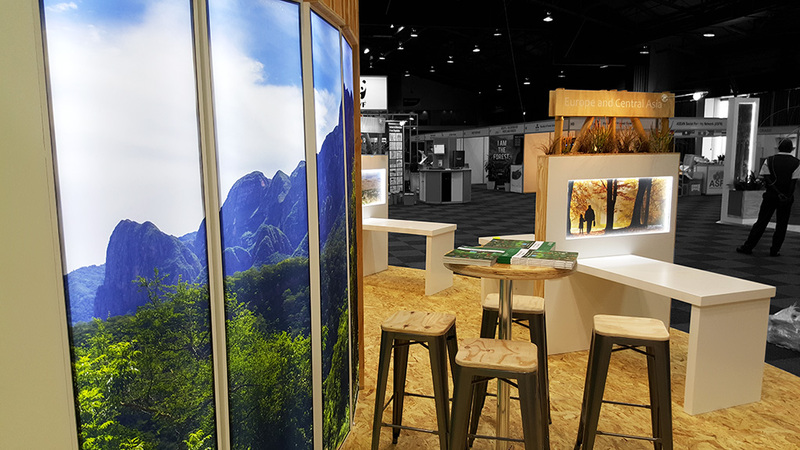 The installation was done at a high pace in a day and a half thanks to really good planning.